VIZ MEDIA ANNOUNCES THE RELEASE OF AMIGURUMI SWEETS: CROCHET FANCY PASTRIES AND DESSERTS! VIZ MEDIA ANNOUNCES NARUTO SHIPPUDEN PRIZE PROMOTION WITH KURA SUSHI USA, Inc.
VIZ MEDIA ANNOUNCES THE HOME MEDIA RELEASE OF POKÉMON THE MOVIE: I CHOOSE YOU! VIZ MEDIA JOINS CBLDF AS CORPORATE MEMBER, CO-RELEASES MANGA BOOK CLUB RESOURCE! VIZ Media To Develop Original Animated Kids Series, GAKKIMALS! VIZ MEDIA, ELEVEN ARTS AND FATHOM EVENTS ANNOUNCE BORUTO: NARUTO THE MOVIE EVENT IN CINEMAS FOR TWO DAYS ONLY! VIZ MEDIA LAUNCHES THE SHOJO ROMANTIC COMEDY MANGA SERIES MAID-SAMA! VIZ MEDIA LAUNCHES GENDER-BENDING SHOJO MANGA SO CUTE IT HURTS!! Toronto Public Library & The Beguiling present The Toronto Comic Arts Festival 2015, Announcing Featured Guest Aya Kanno! VIZ MEDIA’S PERFECT SQUARE IMPRINT DELIVERS JOYOUS NEW HELLO KITTY® ADVENTURES WITH THE RELEASE OF HELLO KITTY: SURPRISE! VIZ MEDIA’S NEON ALLEY EVOLVES TO BECOME NEW HOME FOR DIGITAL STREAMING ANIME CONTENT IN THE U.S.
VIZ MEDIA DELIVERS PULSE-POUNDING ACTION AND SUSPENSE WITH THE LAUNCH OF NEW MANGA SERIES GANGSTA. VIZ MEDIA’S PERFECT SQUARE DELIVERS A MENU OF FUN FOR ALL AGES WITH THE GRAPHIC NOVEL RELEASE OF UGLYDOLL: EAT DAT! VIZ MEDIA ANNOUNCES THE ENGLISH DUB DEBUT OF THE EDGY ANIME SERIES “K” ON HULU FOR A LIMITED TIME BEGINNING TODAY! VIZ MEDIA RETURNS TO ANIME EXPO 2012 WITH A BIG ROSTER OF SPECIAL GUEST APPEARANCES, BOOTH ACTIVITIES, PRODUCT GIVEAWAYS AND MUCH MORE!!! VIZ MEDIA SERVES UP SPINGTIME SMILES WITH TWO NEW GRAPHIC NOVEL RELEASES FEATURING THE MR. MEN‰ã¢ AND LITTLE MISSES‰ã¢! VIZ MEDIA ANNOUNCES NEW 3-IN-1 OMNIBUS MANGA EDITIONS FOR HANA-KIMI AND SKIPåáBEAT! HEROES of ANIME iTunes Discounts and FREE Episodes! COMEDY, ROCK ‰Û÷n‰Ûª ROLL AND ROMANCE SET THE STAGE FOR THE DEBUT OF VIZ MEDIA‰ÛªS NEWEST SHOJO MANGA SERIES AI ORE! VIZ MEDIA'S LICENSING NEWS FLASH!!! FINAL VOLUME OF THE ULTIMATE FOOD MANGA - OISHINBO RELEASING JANUARY 19TH! VIZ MEDIA TO PUBLISH THE POIGNANT NEW MANGA SERIES WHAT A WONDERFUL WORLD! VIZ MEDIA DEBUTS CELEBRATED ROMANTIC MANGA SERIES KIMI NI TODOKE: FROM ME TO YOU Releasing Today! VIZ MEDIA PARENT COMPANY SHUEISHA INVESTS IN JAPANESE PUBLISHER SHOGAKUKAN’S LICENSING AND MERCHANDISING SUBSIDIARY TO FORM NEW PARTNERSHIP – SHOGAKUKAN-SHUEISHA PRODUCTIONS CO., LTD.
VIZ MEDIA’S LICENSING NEWS FLASH!!! VIZ PICTURES ANNOUNCES THEATRICAL SCREENINGS OF SLAPSTICK COMEDY - MAIKO HAAAAN!!! 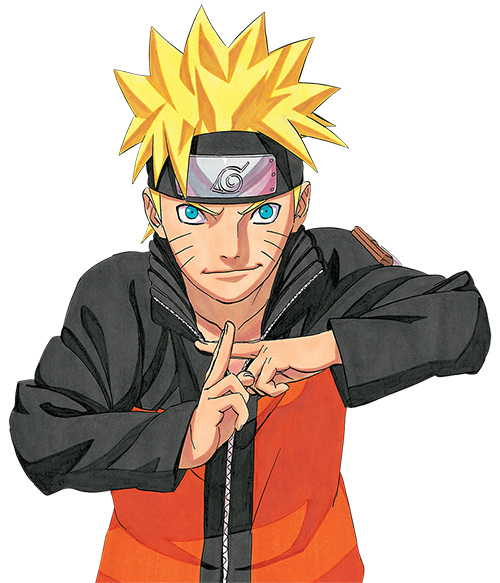 VIZ MEDIA ANNOUNCES THE LONG AWAITED NEW NARUTO! VIZ MEDIA'S BRAVE STORY WINS!